With the world facing divisive events and movements like the rise of nationalism, Trump, Brexit, Erdogan, and more, there's never been a more important time to travel. 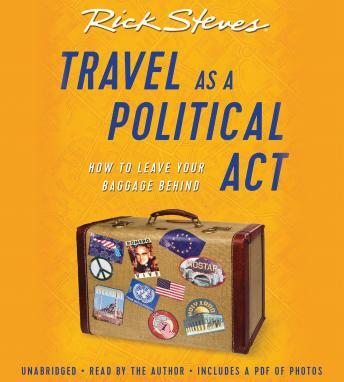 Rick believes the risks of travel are widely exaggerated, and that fear is for people who don't get out much. After years of living out of a suitcase, he still marvels at how different cultures may find different truths to be self-evident. By sharing his experiences from Europe, Central America, Asia, and the Middle East, Rick shows how we can learn more about own country by viewing it from afar.